Update: We are in total shock that none of what is happening in Haiti is on the news. 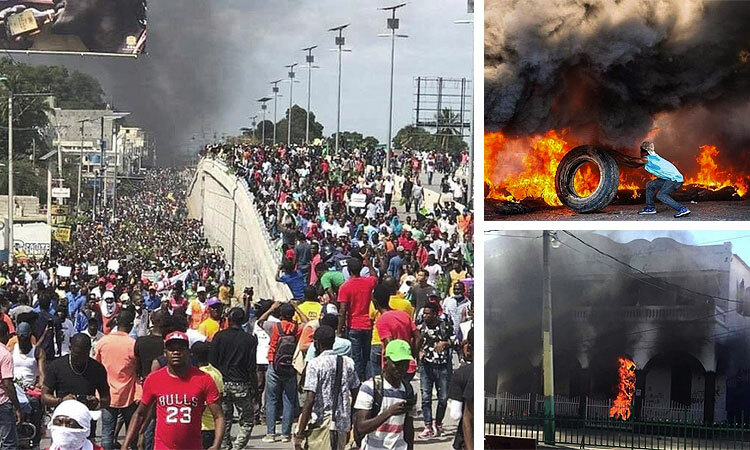 Haiti has been paralyzed and is in total chaos… and things are the same here today. Many and most missionaries have left to return to America to be with their families. Sherry and I are disheartened and very sad for the Haitian people. This morning, we had our Love A Child driver Philemon take Farmer John’s family (who lives on our property with his 6 children, his wife, and his father) to the Dominican Republic to catch a plane out of Haiti. We are just a short distance from the border and Philemon got through four major roadblocks, burning tires and rocks. They knew Love A Child and let our van pass. It is too dangerous to be on the road traveling to Port-au-Prince Airport. Thousands upon thousands are demanding that Président Jovenel Moïse resign and leave the country. We are in a political and economic crisis here in Haiti. The country is exploding. Sherry and I, Kaeli, and David George are staying here working for the Lord. We can’t leave the children we have here in our Children’s Home. We are a family. Today we are working on the Birthing Center, and the Jesus Healing Center Clinic is also open to help people who are sick or hurt and giving out food. I want to thank all of our hardworking Haitian staff here working and getting the job done. Please pray for Haiti, our safety, and for the other missionaries who may be still here in the country. Pray for the children… hunger is everywhere. My heart is down today, but we are trusting in the Lord. Please pray for us, we only have two days of diesel fuel left that gives us electricity and water.